The pottery I create is made exclusively of porcelain. The fine-grained texture of this material allows me to produce surfaces that are extremely smooth and refined. Its inherent whiteness as well as its chemical makeup also encourages applied glazes to react quite differently than they would using other types of clay such as stoneware or terra cotta. My pots are functional, although some pieces are more sculptural and therefore may be viewed as semi-functional. I am most interested in simple and spare forms, as I want to set an uncluttered stage for the numerous glazes I implement. Often I brush a black engobe rich in iron, manganese and chrome oxides onto a newly thrown pot in order to create a surface that reacts quite differently with glazes than it otherwise would on a bare porcelain surface. I fire in an electric kiln in an oxidation atmosphere to 2345 degrees Fahrenheit. This is hot enough to impose a partial glassification of the porcelain, which results in a material with a very high density. 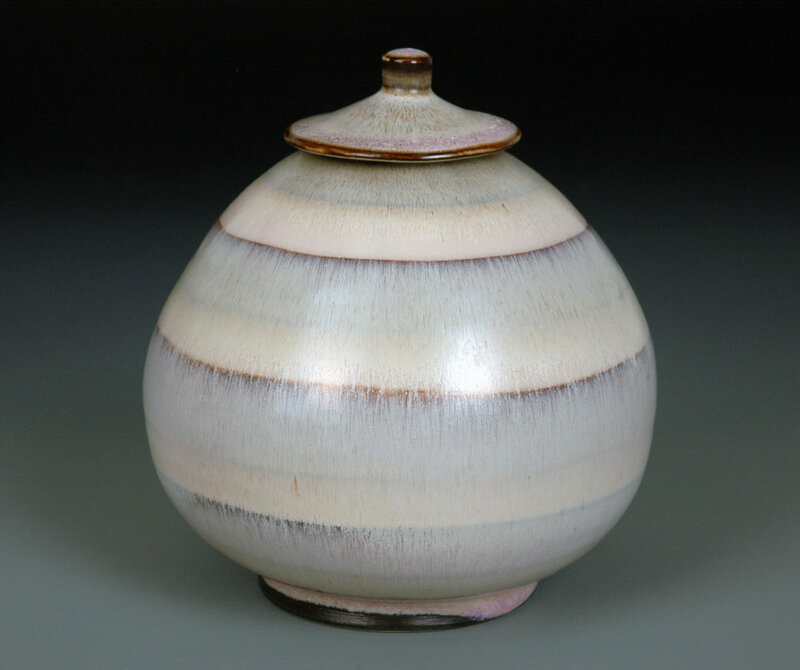 Special glaze effects are achieved by controlling the rate at which the kiln cools down via a computer controller. This technique not only affects the color and surface of the glaze, but it may also inspire the growth of micro-crystals within the glaze that resemble microscopic snowflakes. For me there is wonder and risk at every stage of the ceramic process. From the rather mundane activity of mixing clay, to the more intellectual and meditative aspects of making a pot; to the crucial decision making of glaze selection, and finally to the uncertainty and anticipation that is felt during the glaze-fire. It is all good – even the failures are inspirational.